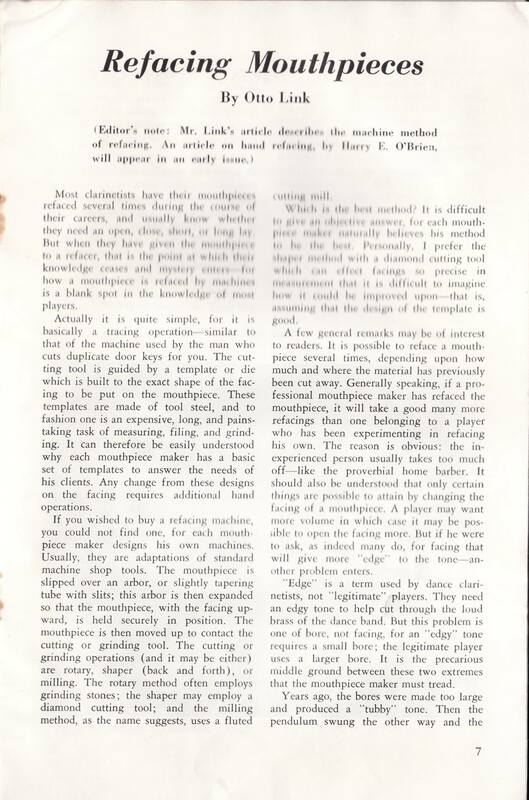 This is a short article from the summer 1950 edition of “The Clarinet”, featuring the actual Otto Link talking about his refacing process. 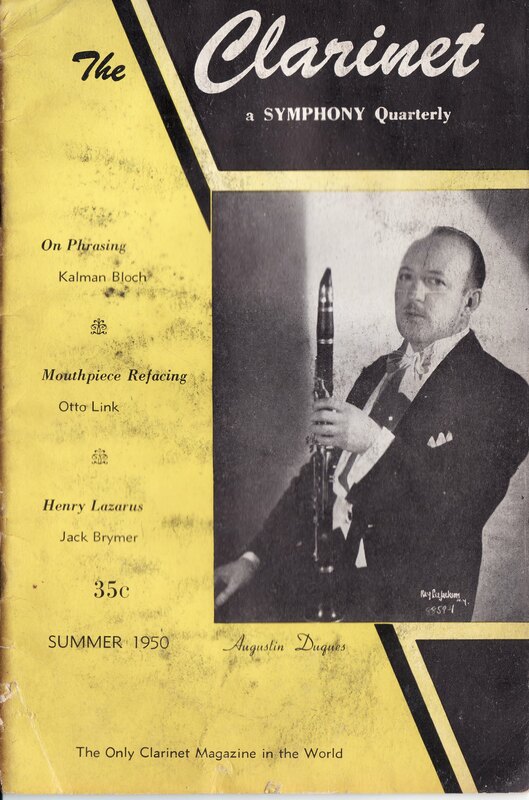 I have an old Otto Link ad for refacing services published at about the same time- the cost to reface a mouthpiece was $3. Of course, “refacing” in this sense is just plugging a mouthpiece into the Link facing machine, rather than the hand-finishing and repair that we think of today as refacing, but still- $3 to put an actual vintage Link facing on a piece isn’t bad! 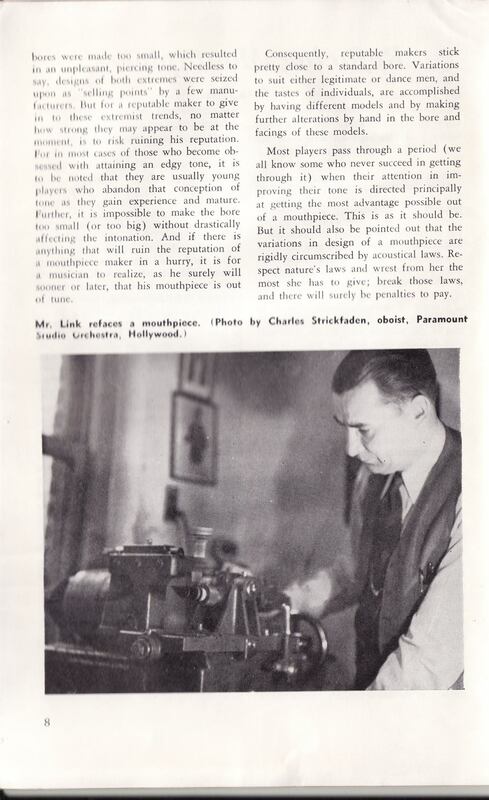 The cam-profile machine he describes is in all probability extremely similar to the machine used at Babbitt (the current maker of Link mouthpieces) today- in fact you can pay to have your own cam manufactured and stored at Babbitt if you have a facing curve they do not already possess. This is how many mouthpiece makers have their own “custom” mouthpieces made today: with Babbitt blanks on Babbitt machines with their own proprietary cams, although CNC milling is also now a viable option for machine-produced mouthpiece facing work.